Paris/Tokyo: Executives from both car makers in the Renault-Nissan alliance looked at least twice at legal ways to pay Chairman Carlos Ghosn undisclosed income through the partners’ shared finances, documents seen by Reuters show.The two efforts discussed in these documents were ultimately abandoned. However, the documents show for the first time that some discussions about compensating Ghosn out of the public eye were not confined to the Japanese car maker, but also included Renault executives. Ghosn’s undisclosed Nissan income is at the centre of allegations by Tokyo prosecutors against the alliance chairman, who has been charged with failing to disclose $43 million in compensation for 2010-2015 that he had arranged to receive later. Since 2010, Japanese firms have been required to disclose details of executive remuneration including stock options and bonuses when the total exceeds 100 million yen ($890,000). The plans, which were considered in 2010 and 2017, sought to find legal channels through which Ghosn could receive undisclosed payments. Ghosn and Greg Kelly, a Nissan director, are still in custody and have had little opportunity to defend themselves in public. 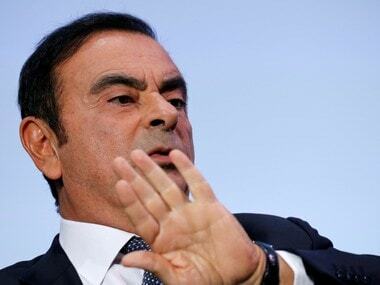 Ghosn, who remains Renault’s chairman and chief executive, denies that the alleged pay deals broke any laws, his Japanese lawyer has told other media. Japanese media have also reported that Kelly has denied the allegations. US representatives for Ghosn and Kelly declined to comment. Reuters reviewed internal emails and invoices related to the projects and spoke to people with direct knowledge of them. 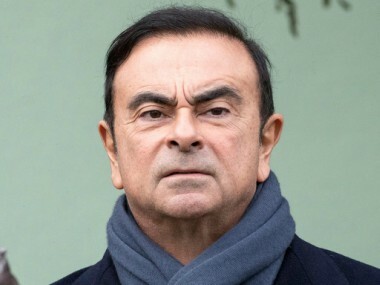 Executives, including Renault’s general secretary Mouna Sepehri, worked on a proposed 2010 plan to create an additional source of compensation for Ghosn through the alliance’s Renault-Nissan BV Dutch holding, according to an internal email seen by Reuters. “I have reviewed all of the information you have provided me with the CEO and have explained to him that there are good legal grounds for RNBV being able to pay ... part of his compensation without having to publicly disclose the amount,” Kelly wrote. 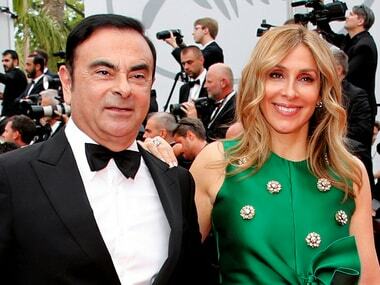 Kelly’s email was unearthed by the Nissan investigation of Ghosn. Kelly had “consulted several people at Renault and Nissan to establish whether it was legally possible that part of the CEO’s compensation be paid by RNBV to reflect the time he spent working on alliance synergies,” the company said. Renault owns 43.4 percent of Nissan, whose 15 percent stake in its French parent carries no voting rights. Nissan, in turn, controls Mitsubishi Motors Corp via a 34 percent holding. Their combined 10.6 million vehicle sales rival Volkswagen and Toyota. Nissan now wants to examine the finances of jointly owned RNBV and other alliance entities. Renault, whose biggest shareholder is the French state, has so far ignored its request for an independent investigation. In 2017, as deferred Nissan income owed to Ghosn continued to mount, alliance executives tried another approach. Renault-Nissan bankers developed plans to pay millions of euros in undisclosed bonuses to Ghosn and other alliance managers via a Dutch service company. On 13 June 2017, Reuters reported details of the plan contained in an eight-page document. Two days later at Renault’s shareholder meeting, Ghosn denied that such a plan existed. The plan was scrapped soon after that, invoices and emails show. According to documents reviewed by Reuters, Bollore and Sepehri were among a small group of executives included in emails and meetings about the bonus plan, along with Hiroto Saikawa, now Nissan’s CEO. Reuters could not establish what roles the executives played in the planning process. Both car makers declined to make the three executives available for comment. On 25 July 2017, financial adviser Ardea Partners, which had worked on the plan, billed Renault-Nissan $1.5 million, plus $49,219.57 in expenses, for “services rendered.” That was half the $3 million fee that had been agreed in a May 13 contract seen by Reuters, drawn up as the project moved towards implementation, and payable on completion. Ardea Managing Director Robert Falzon declined to comment. Renault said on Tuesday that Ardea had “worked as financial advisors on many corporate subjects for RNBV,” in response to Reuters questions on the bonus plan. Renault told Reuters its executives had not led the project. “On certain subjects there were exchanges with some Renault and Nissan executives, including Saikawa, Bollore and Sepehri,” it said. In a 26 September resolution seen by Reuters, the Renault-Nissan board signed off on a 30 million-euro ($34 million) transfer to the organisation, documents show. The transfer was approved by 10 alliance executives including Ghosn, Bollore, Sepehri and Saikawa. But it was cancelled after Ghosn’s 19 November arrest in Japan, before the cash was moved, two sources said.